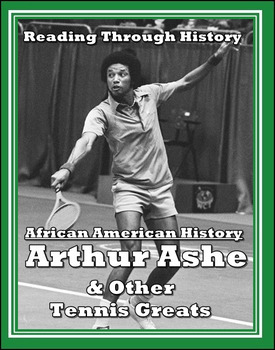 This is a single four page unit from Reading Through History documenting the life, achievements, and careers of the three most successful African American tennis players of all time. 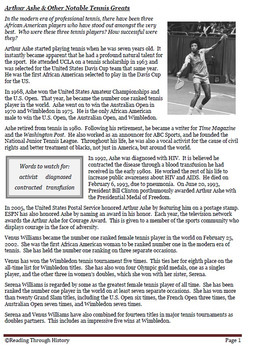 The download includes a series of short biographies followed by three pages of student activities. 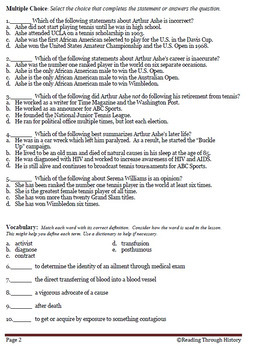 The student activities include multiple choice questions, a student response essay question, a guided reading activity, and vocabulary activities. There is enough material to cover around thirty minutes of class.